Deflategate 2.0 [Video] | VGO Inc. In honor of Tom Brady’s return to football this weekend after serving a 4 game suspension for under-inflating game balls, we decided to do our own deflategate study. 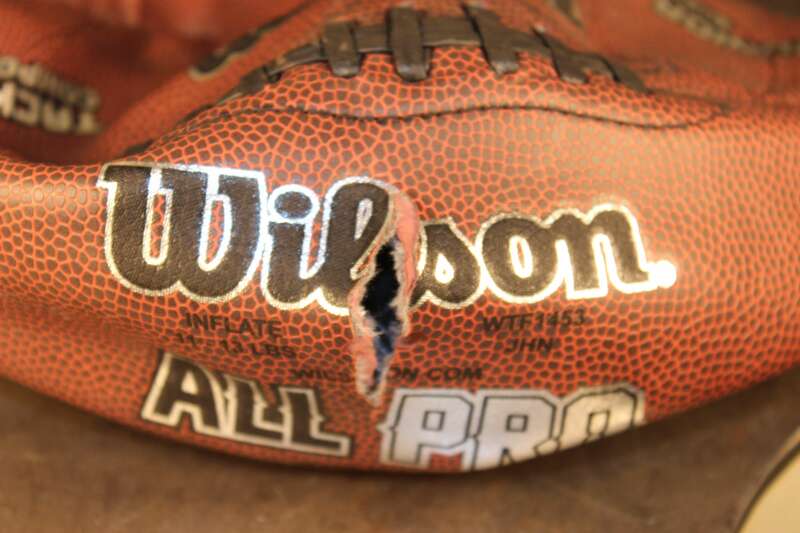 So, naturally, we put a football in our 120 kip test press and compressed the football until it ruptured. The load registered on the test machine was just north of 62,000 lbf. I did some quick math on what I believed the contact patch to be and calculated a rupture pressure of around 1,000 psi. That seemed awful high to me so I reviewed the video and I now believe that the ball had deformed enough to allow the opposite sides of the ball to come in contact and I was actually measuring the force it took to compress the material of the ball. Not the air in the ball. The actual rupture pressure is likely much lower than 1,000 psi. This just goes to show that every test and every test result should be reviewed with a critical eye to ensure the validity of the results. For a video of the football being squished follow the link.